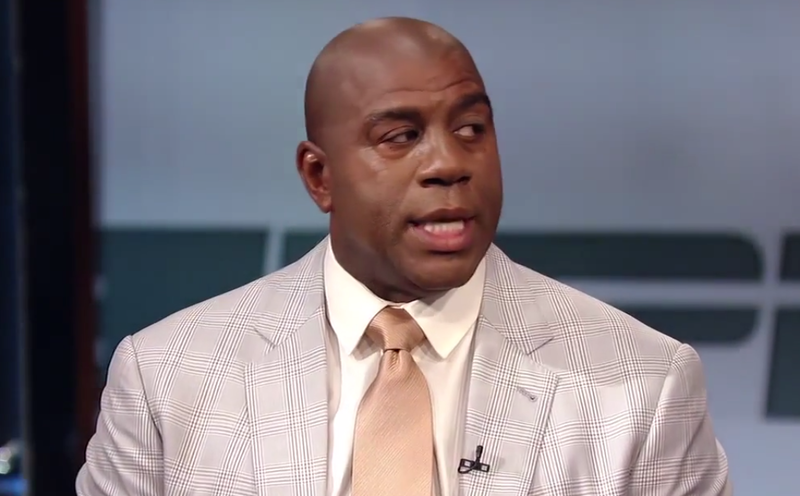 In the above video, Magic Johnson comments on the remarks which Donald Sterling allegedly recently made in a conversation with his then girlfriend. Anyone who objectively listens to the recording will reach the conclusion that - if it is in fact authentic - then the L.A. Clippers' owner is clearly racist. 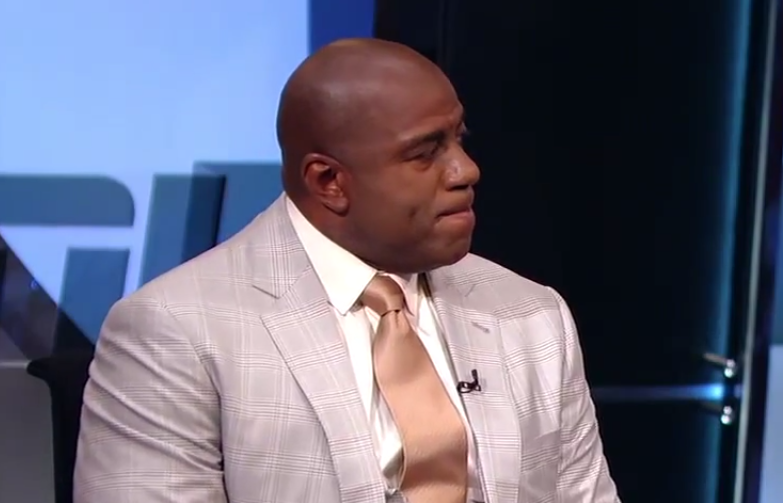 At the very beginning of the interview, just before he begins speaking (0:06, 0:11 - 0:12), Magic Johnson displays a partial "Inward Lip Roll" (ILR). The inward lip roll signifies that the subconscious is trying to suppress the outward manifestation as well as the inward crescendo of emotions which are diverging far from baseline. The emotions can be positive such as joy - but typically they are negative emotions (e.g. anger and sadness). At this instant, Magic's psyche is trying to prevent his anger from growing. During the 1:46 mark, as he makes the statement, "... he shouldn't own a team anymore ..." - Johnson displays one of several classic signals of incredulity exampled here. This disbelief is manifested by a unilateral (left sided) raised eyebrow and asymmetrical (same side) dynamic contracted forehead muscle [frontalis (pars lateralis)]. During the 2:01 mark, disgust is the primary emotion being felt. 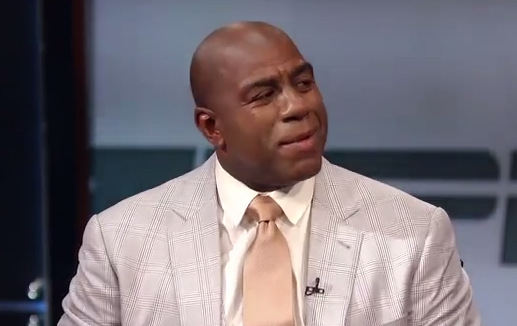 This is signaled here primarily by the tightening of Magic's "mustache area" and the flaring of his nostrils. What other facial configuration displayed in this moment amplifies Johnson's disgust? What is Magic's secondary emotion in this instant?